The Sexual Health Initiative to Foster Transformation (SHIFT) is a comprehensive research project that examines the individual, interpersonal, and structural (cultural, community, and institutional) factors that shape sexual health and sexual violence for undergraduates at Columbia and Barnard. To use a Community-based Participatory Research (CBPR) approach to work with key stakeholders to design the study and translate its findings into interventions and policy. 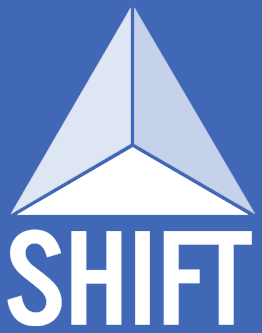 SHIFT will generate important new information that Columbia, Barnard and other institutions of higher education can use to inform innovative evidence-based programming to prevent sexual assault and to promote sexual health. Research that has been done to date has largely focused on individual factors, rather than on the social and institutional factors that play a significant role in shaping young people’s experiences on campus. SHIFT looks holistically at the undergraduate experiences, using a public health approach to examine policies and practices. All of SHIFT’s research procedures have been reviewed and approved by the Columbia University Irving Medical Center Institutional Review Board, ensuring that individual data is appropriately secured and that the research is carried out in accordance with standards for the protection of research subjects. Moreover, the university has granted us an exemption from mandated reporting, so that information students share with us about sexual assault is not reported to the university. We do make sure that students who need information about supportive resources are provided with that information. If you have any questions about what we’re doing, email us at shift@cumc.columbia.edu. This project presents an unparalleled opportunity for students to have a voice—even an anonymous one—in the ongoing effort to understand and improve the climate of our campus. We hope you’ll join us in this endeavor.